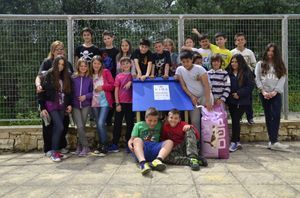 PAWS has initiated education on animal welfare on Paxos since 2006 and Animal Action (GAWF) from Athens has given talks at both the town hall and junior school. Subsequently PAWS has provided leaflets about animal welfare and the importance of neutering that were distributed across the island. News & Events for more details. Over the winter of 2015/2016 PAWS arranged meetings with the Hunters Association which were successful in providing information about the benefits of microchipping, neutering and the prevention and treatment of Leishmaniasis. PAWS hopes with help from Nefeli and Dogs Trust UK to continue our education programme for both school children and adults.